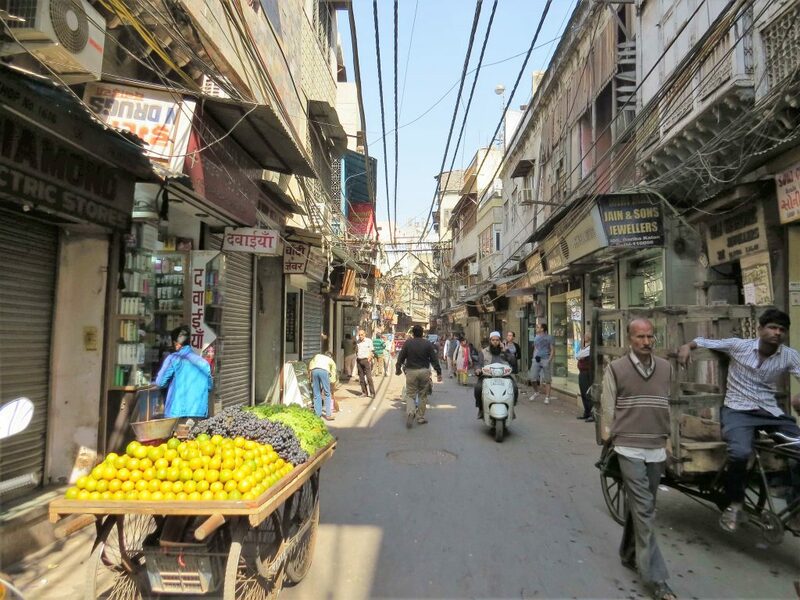 Our Old Delhi tour is not for the faint hearted, though those who’re willing to navigate crowds and chaos to really get beneath India’s skin may find Old Delhi to be one of their favourite stops of all. 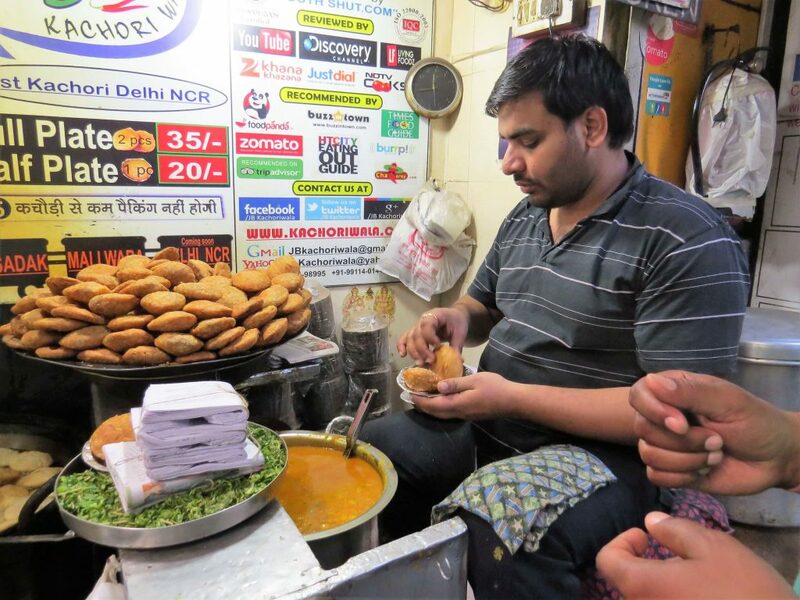 India’s capital city of Delhi can be broadly divided into two distinct personalities: New Delhi, built by the British in the 1930s as their imperial capital, boasting wide avenues, grand vistas and colonial mansions; and Old Delhi, a melange of souk-like bazaars, 16th and 17th century Mughal-built architecture, wandering cows, vibrant saris, and relentless noise; from hooting horns to the cries of vegetable hawkers. My first stop of the day was the Salaam Balaak Trust City Walk. 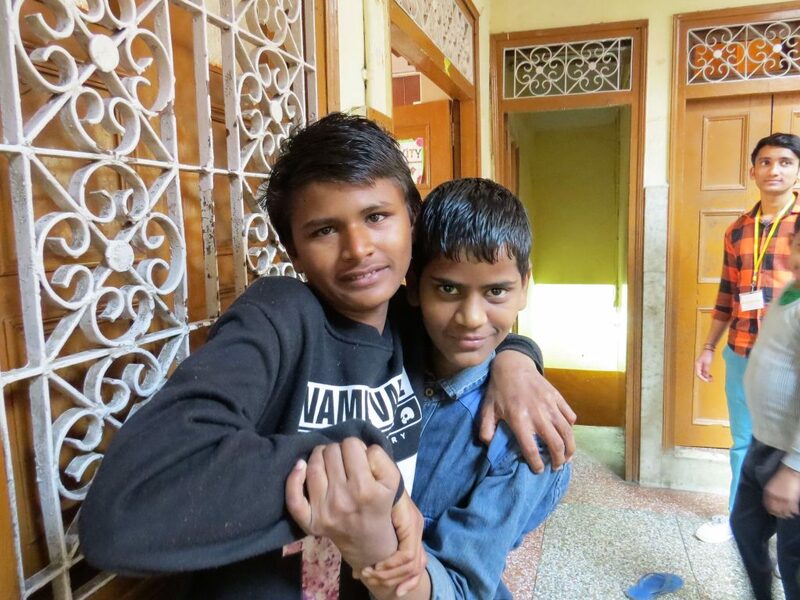 A non-profit and non-governmental organisation established in 1988, Salaam Balaak Trust provides shelter, comfort, education and hope to vulnerable children who’ve found themselves living on the streets of Delhi. 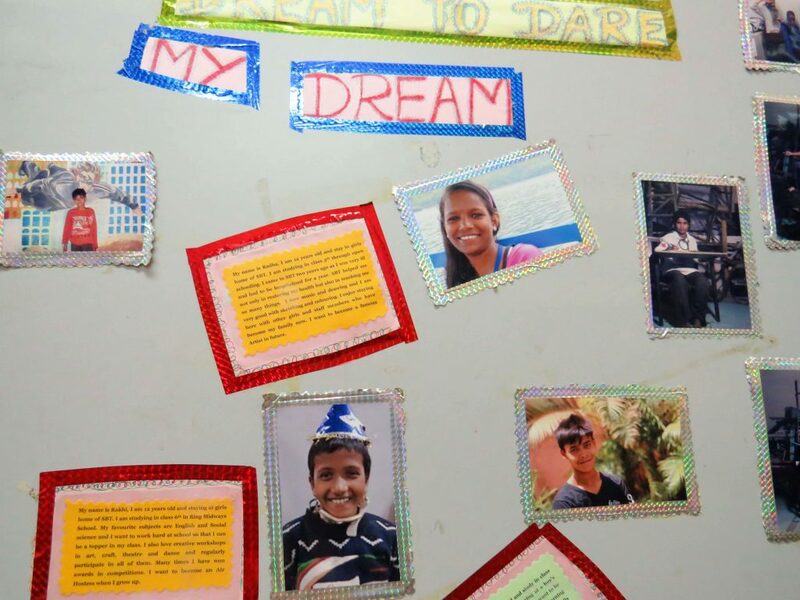 The charity offer what they call ‘City Walks’, guided by former street children, who will show you first-hand what life is like for Delhi’s homeless youngsters. 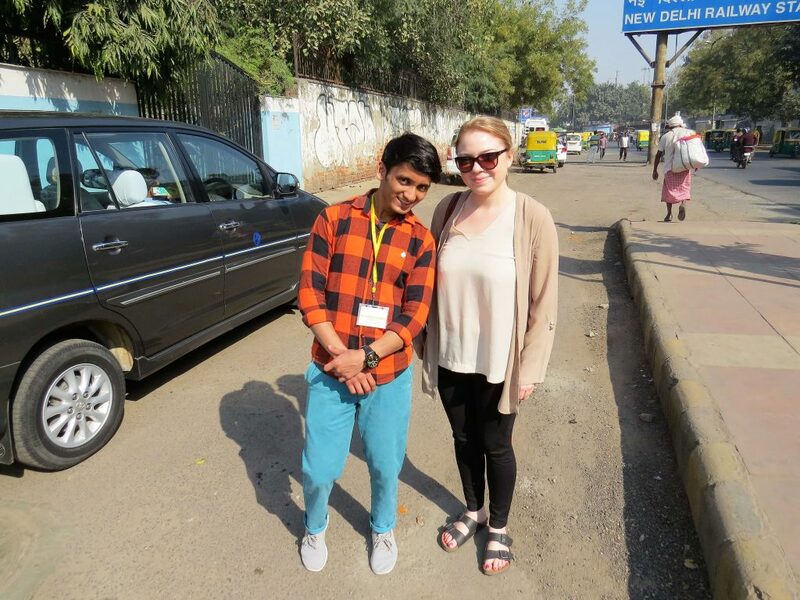 During the walk, my guide explained how children end up on the streets of Delhi and what they do to survive. Some are lost, others escape an abusive home and hope to find a better life of their own, or tragically others were left by their families to fend for themselves; especially little girls, who’re seen as too expensive, thanks to the dowry tradition which is deep-rooted in rural Indian culture (in some communities, Indian families are expected to pay a substantial amount to the groom’s family when their daughter gets married). He also explained his own very sad but inspiring story. 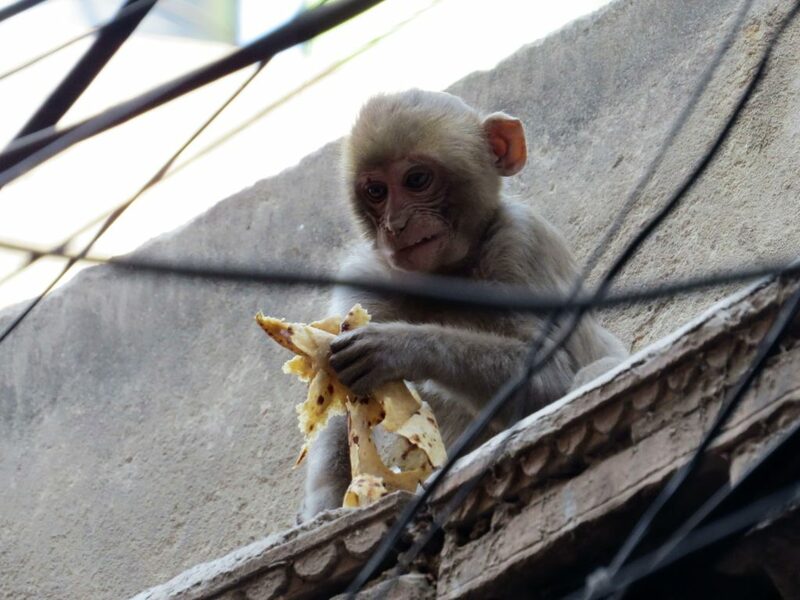 He then guided me through the narrow backstreets of Old Delhi’s Paharganj area, to one of Salaam Balaak Trust’s shelters. 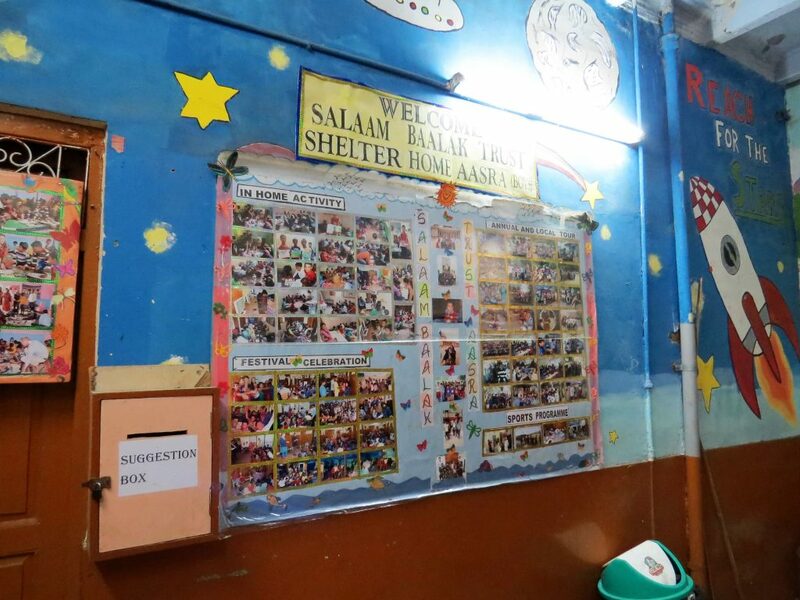 The trust have a number of shelters throughout Delhi. This one was for boys, aged between 5 and 13. Prince William and Kate visited the shelter in 2016. 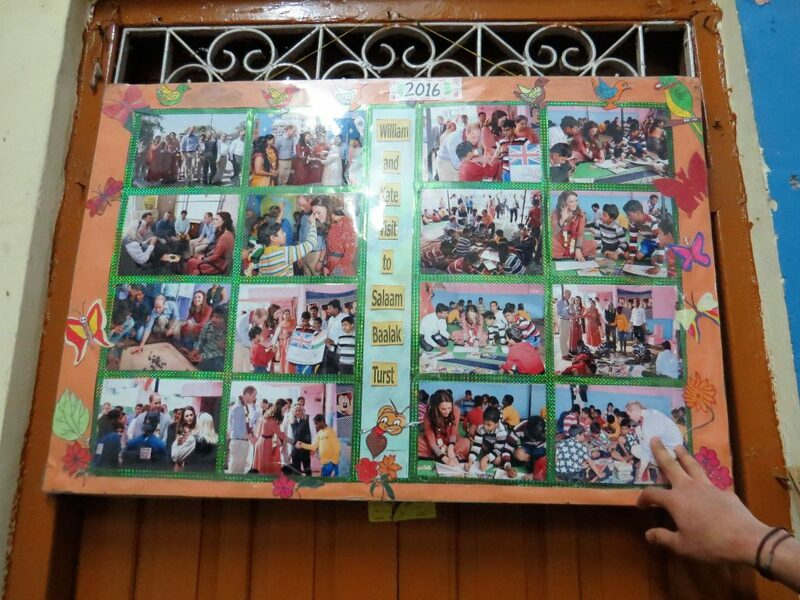 Here they proudly display photographs of the visit. It was a pleasure to meet the children, all of whom were very excited to have their photographs taken and keen to test out their English. 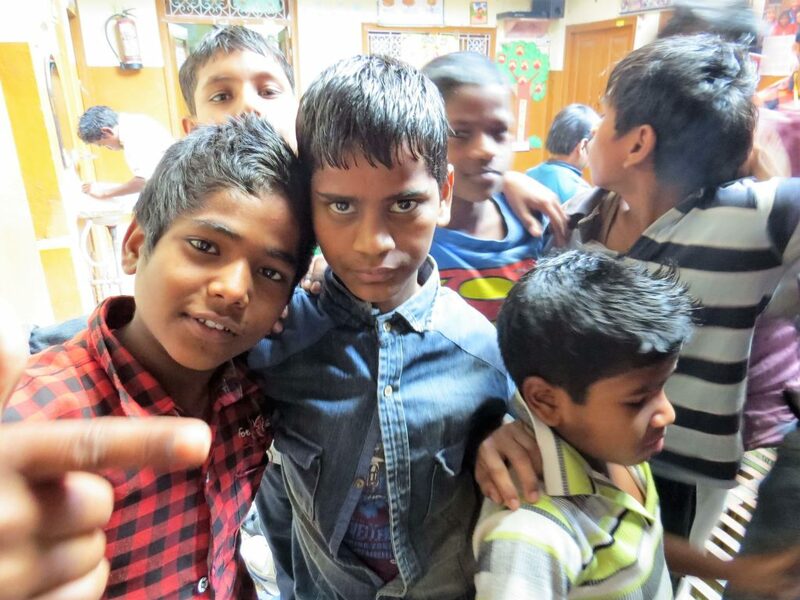 I would highly recommend this experience for anyone looking to make a charitable contribution whilst in India. We then headed over to the Jama Masjid, India’s largest mosque. 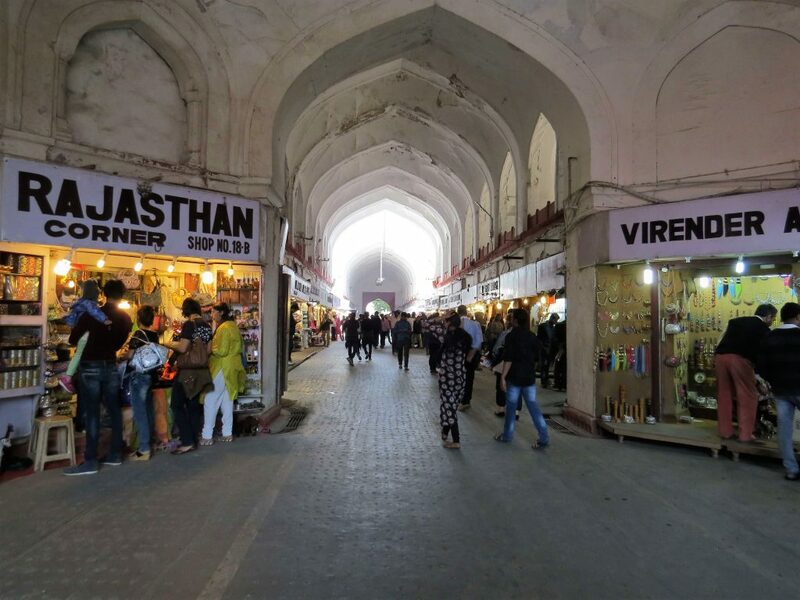 It was built in 1656 by Emperor Shah Jahan (the same emperor who later built the Taj Mahal in Agra), taking six years and a workforce of 5000 to construct. A magnificent flight of steps leads to the great arched entrances (there are four; north, east, south and west), where in the 17th century horses were sold and jugglers performed. 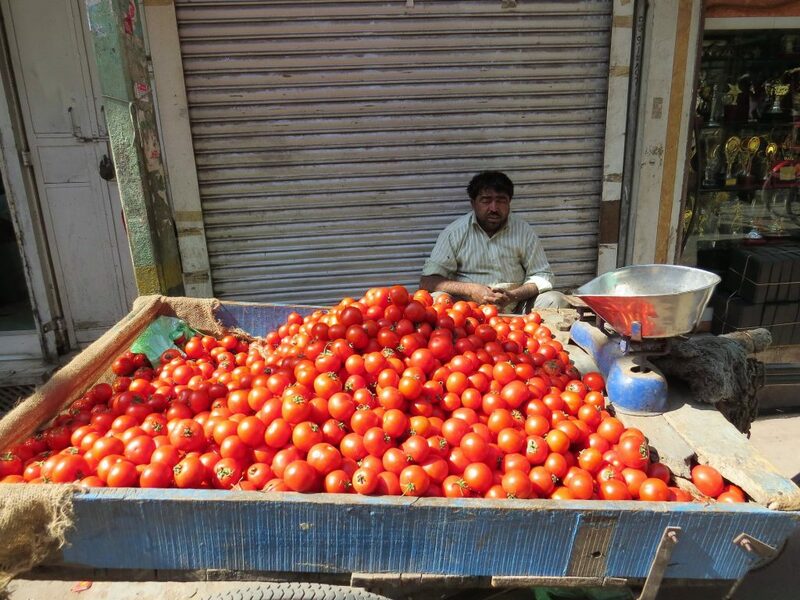 Nowadays, sweet-sellers, beggars and touts mill around. 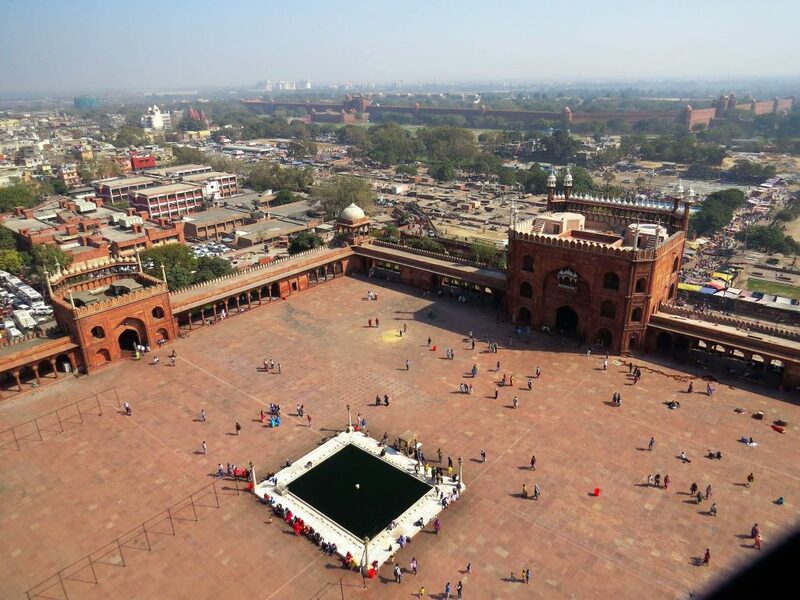 The gargantuan courtyard can accommodate up to 20,000 people at prayer times, especially during Friday prayers and on the festival of Eid where it looks like a sea of worshipers. I had heard that there were fantastic views of Old Delhi from the minarets. I decided to go for it and embarked on a fifteen-minute climb to the top. The staircase is so steep and so narrow that it was uncomfortable at times, particularly when we crossed people coming back down (very tight squeeze!). I would not recommend it for anyone who’s not firm on their feet, or doesn’t like tight spaces. The view from the top was remarkable, though. 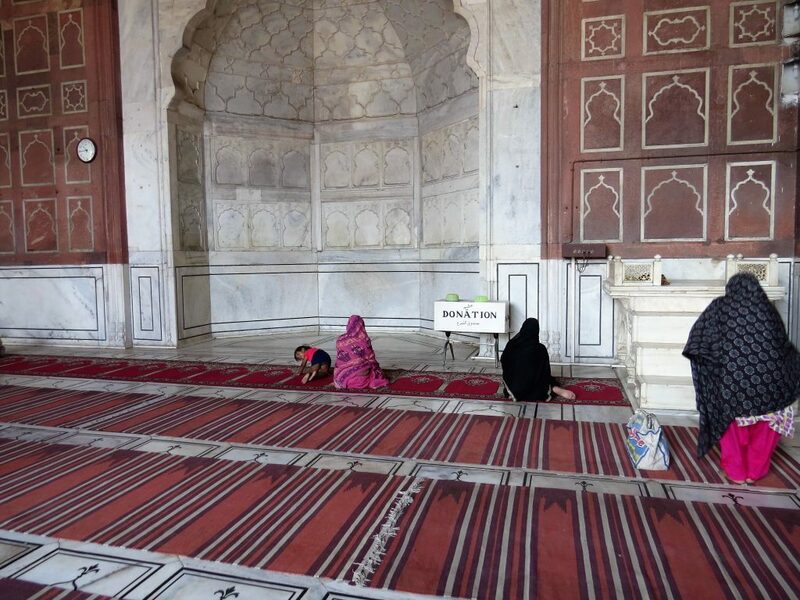 Note: like most places of worship in India, visitors are required to remove their shoes. We’d recommend carrying a pair of socks in your bag, or evening bringing along the complimentary slippers from your hotel. Ladies are required to wear a robe; these can be borrowed, free, from the mosque entrance. 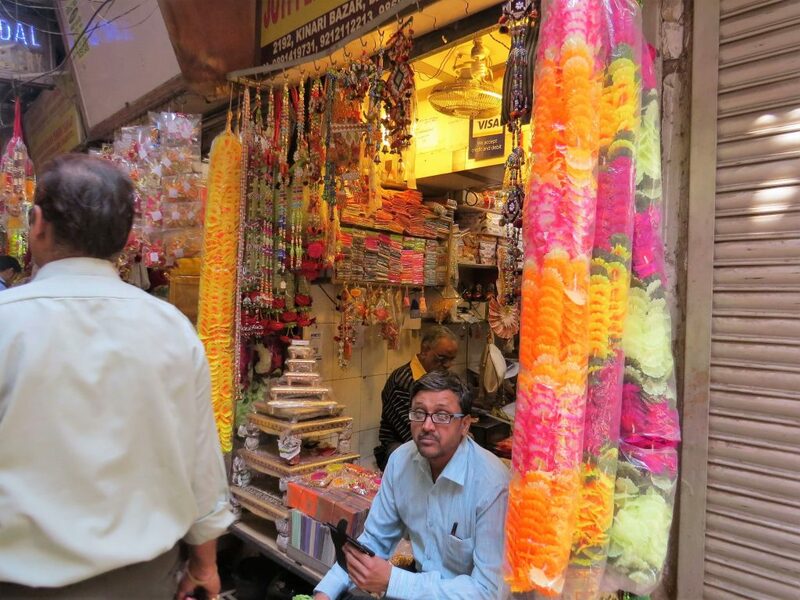 From the Jama Masjid, the bazaars of Old Delhi spill out in all directions. 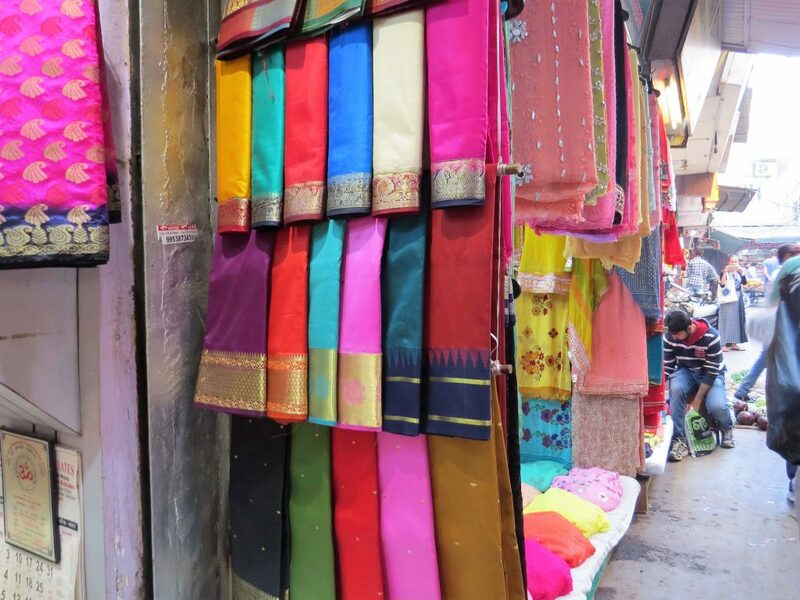 These souk-like marketplaces are scattered with a bewildering array of goods, from colourful saris, to silvery jewellery, fresh vegetables, spices, pickles, books… anything and everything can be found and haggled for in Old Delhi. The markets are separated into various specialities. 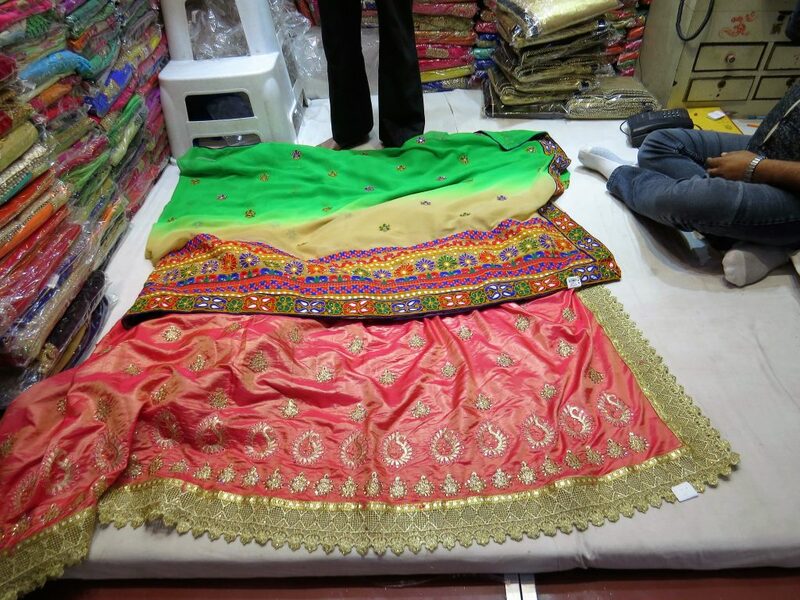 Kinari Bazaar, for example, specialises in wedding accessories; think sparkly tinsels, decadent dresses, jewellery. 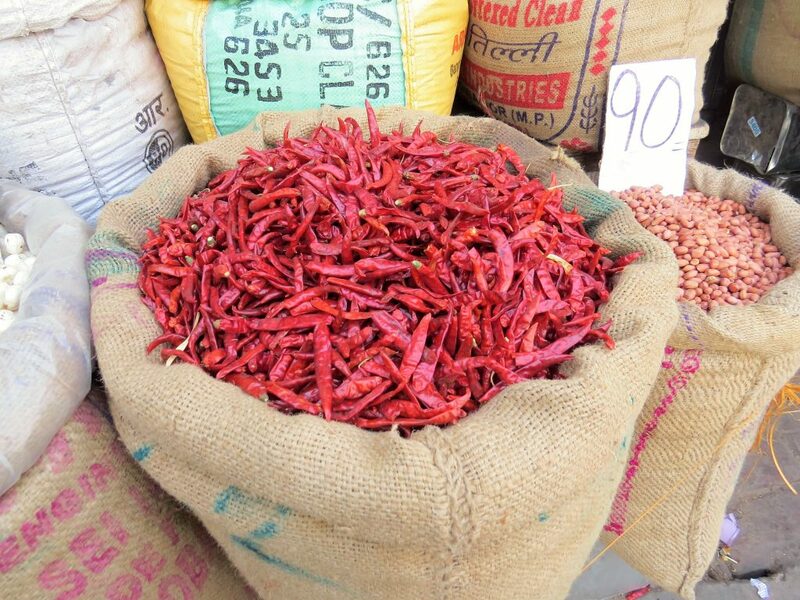 Khari Boli, Asia’s largest spice market, is bursting with bags of red chilli, turmeric, garam masala and other local spices, waiting to be packed and sold across the country. 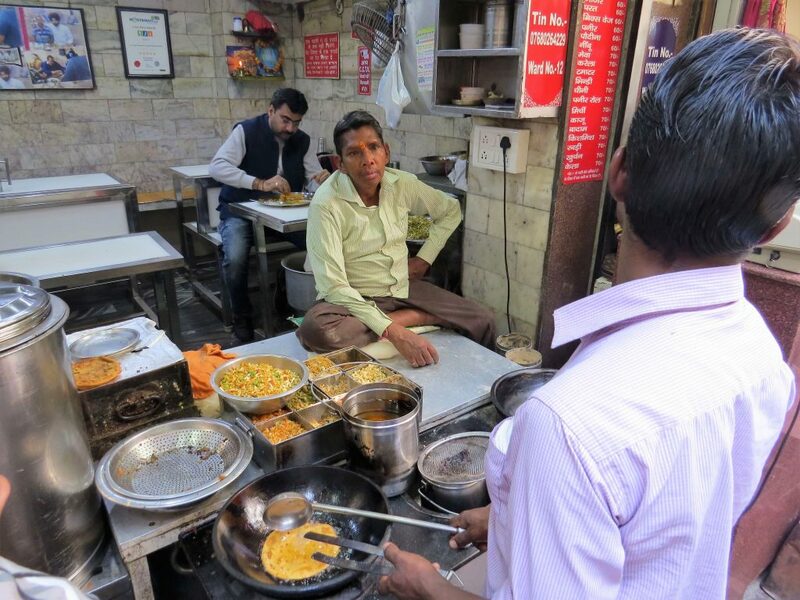 We stopped in Paranthewaligali to sample the famous stuffed paranthe (Indian flatbread), and katchori (lentils wrapped in flatbread and deepfried). Both were delicious. 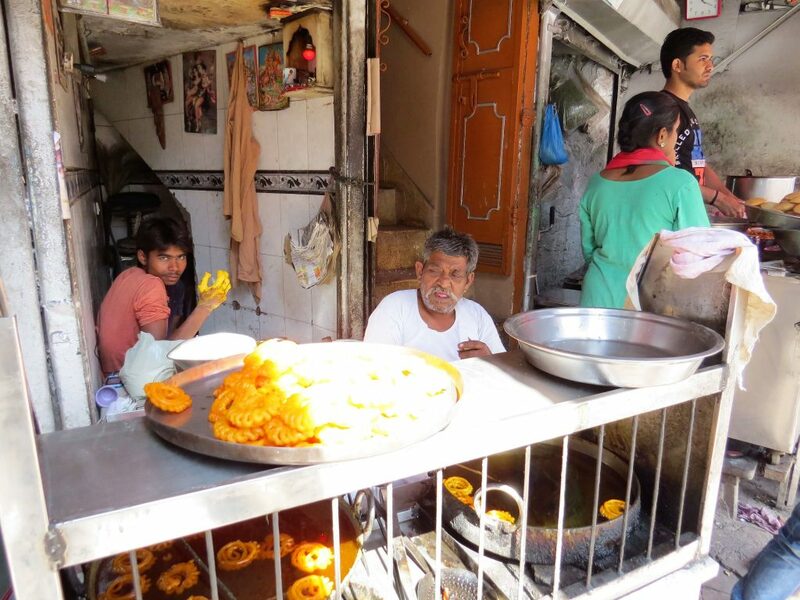 From the food, to the smells, sights, sounds and colours, my guided walk through Old Delhi was a very sensory experience. 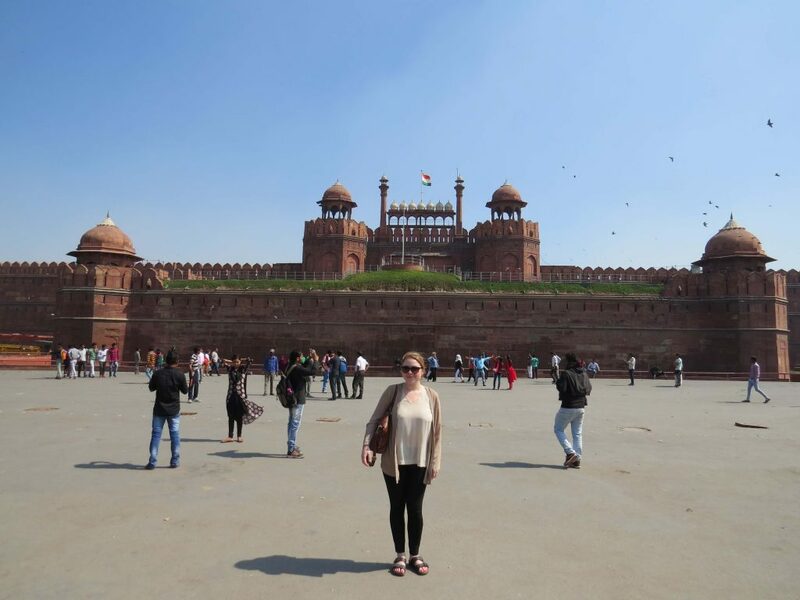 Our last stop of the day was the Red Fort. 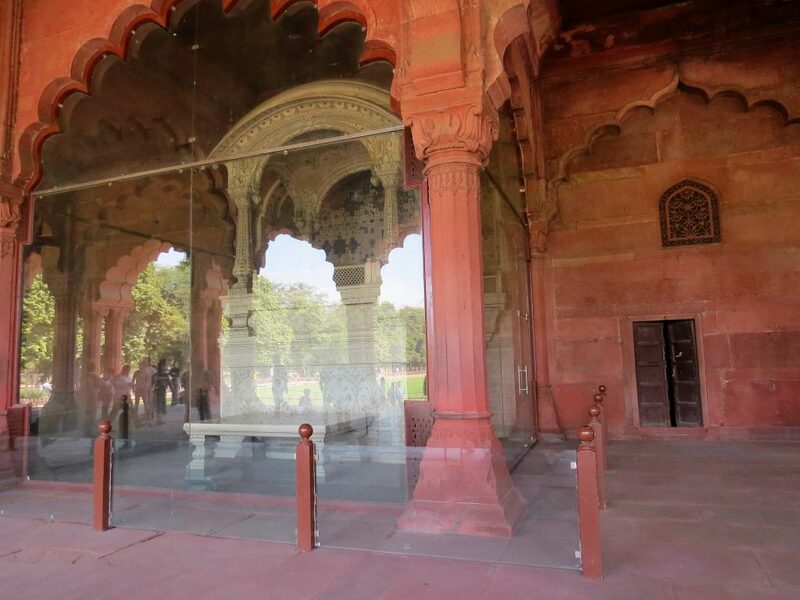 Also built by Emperor Shah Jahan, this red sandstone citadel was commissioned in 1639 and took nine years to construct. It was the seat of Mughal power until 1857 (after the Indian Mutiny, the British moved in, built barracks, and ended the Mughal era). 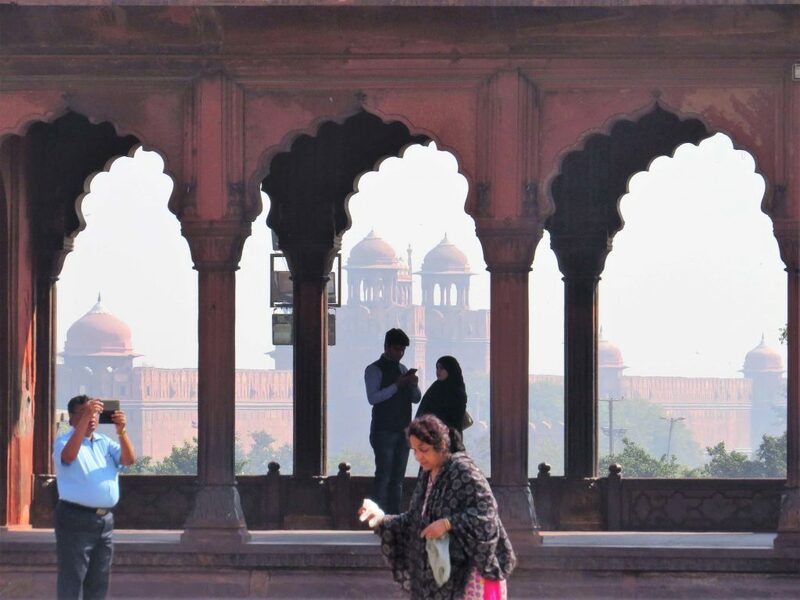 Today, the Red Fort evokes the power, pomp and magnificence of the Mughals – if you use your imagination, its easy to see imperial elephants swaying by with their mahouts, court ladies being carried in palanquins, or a royal army of eunuchs. Highlights include the Diwan-i-Am (Hall of Public Audience). The hall is raised on a platform and embellished with huge Mughal arches. At its centre lies the throne of Shah Jahan, which was once surrounded by decorative panels and intricately in-laid gems. Watched by crowds of people from the courtyard below, here at the Diwan-i-Am Shah Jahan would listen to the pleas of his subjects. The Diwan-i-Khas (Hall of Private Audience) was more exclusive. Here, the emperor would sit on his Peacock Throne, made of solid gold and inlaid with hundreds of precious stones. 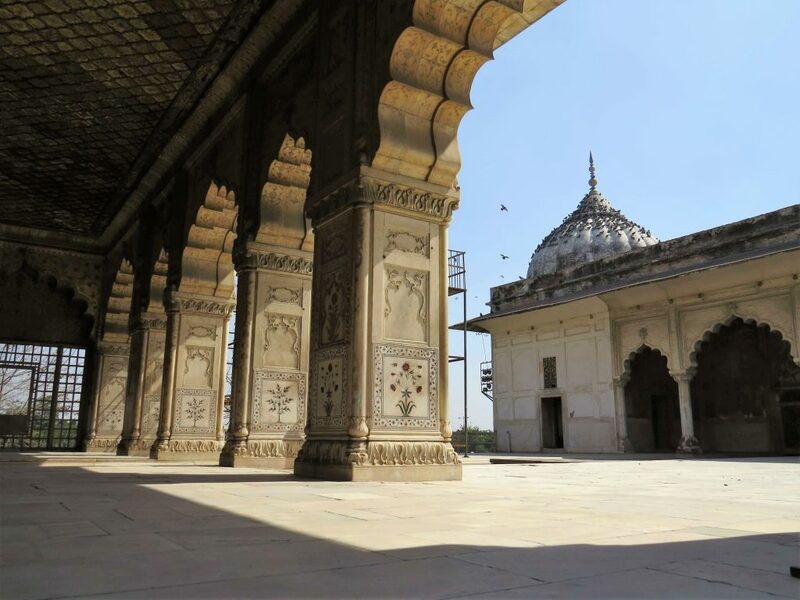 Another interesting part of the complex is the Moti Masjid. 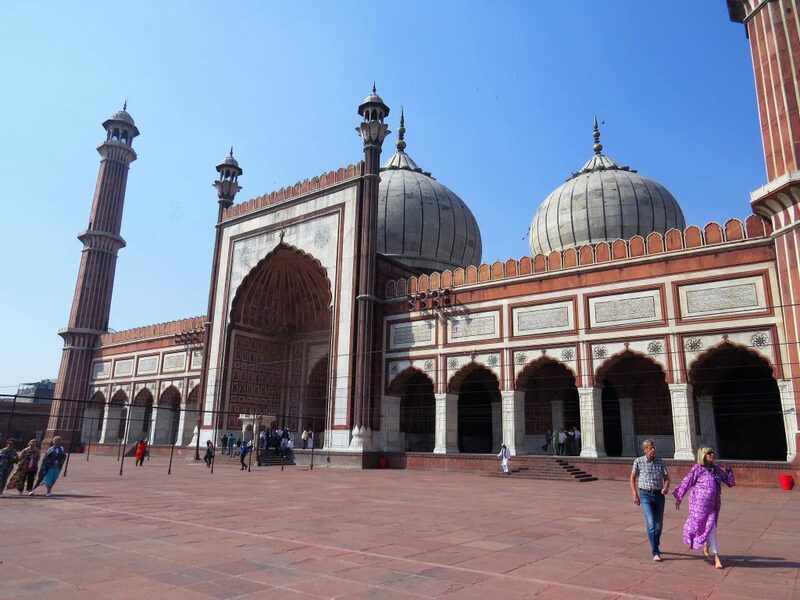 This mosque was designed by Emperor Aurangzeb (Shah Jahan’s son) for only he to use. 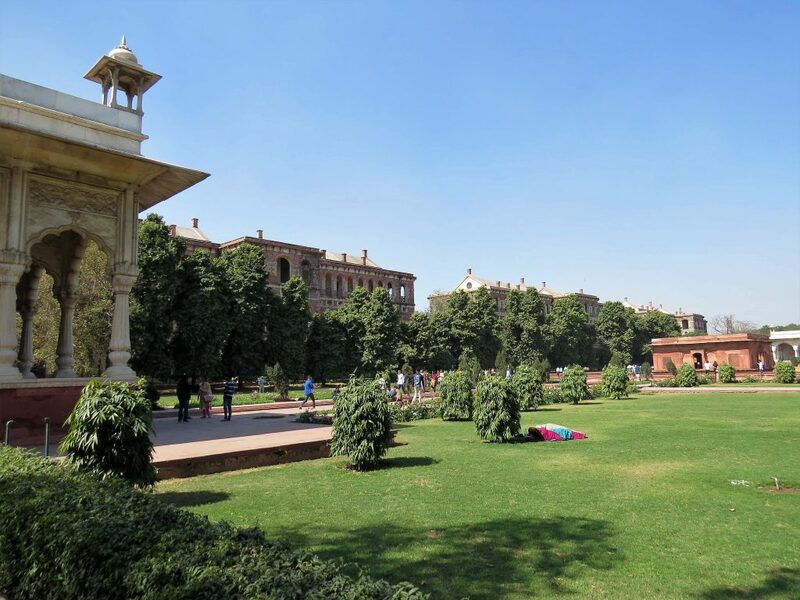 Beyond the mosque is a Mughal garden in the typical charbagh style (four symmetrical sections). 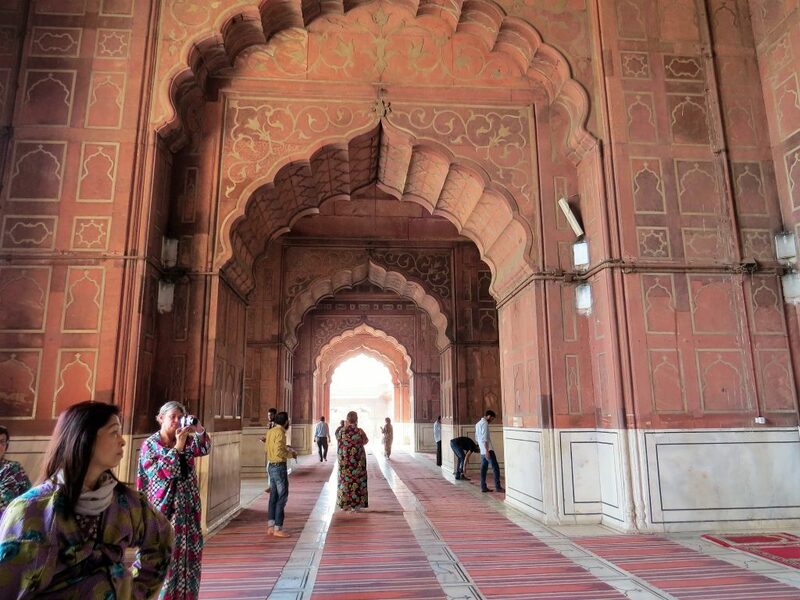 It’s worth noting that those who’re short on time are usually encouraged to skip Delhi’s Red Fort, as you can see a finer example of the same design in Agra. 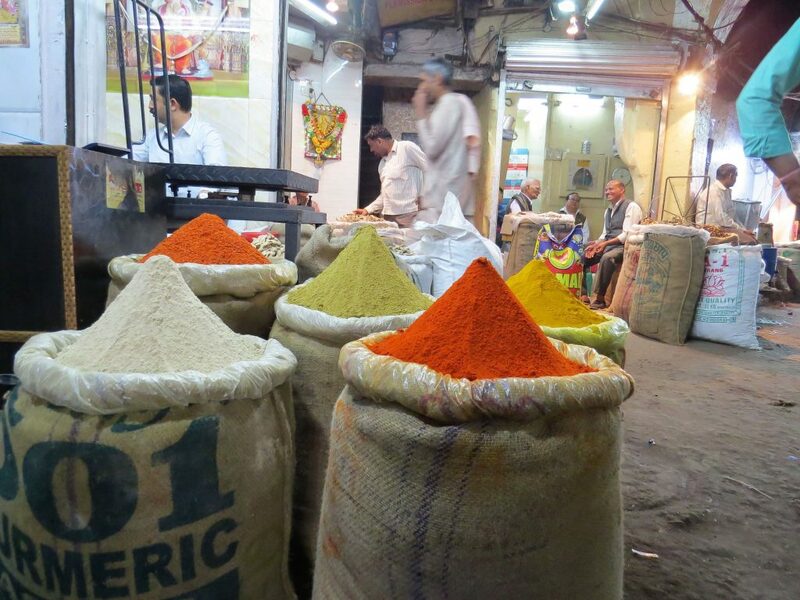 If you’d like to include an Old Delhi tour on your upcoming trip to India, please do get in touch. 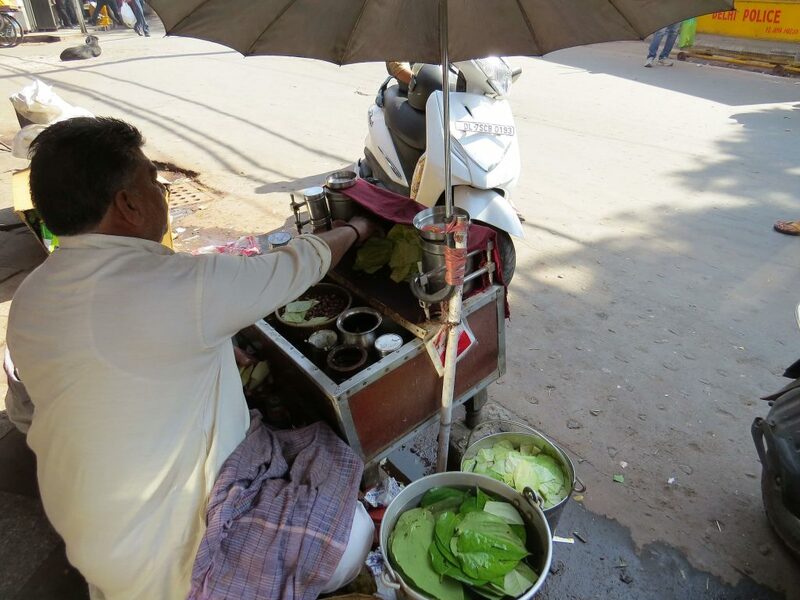 All our tours of India are tailor-made to suit the individual tastes, schedule and requirement of our guests. 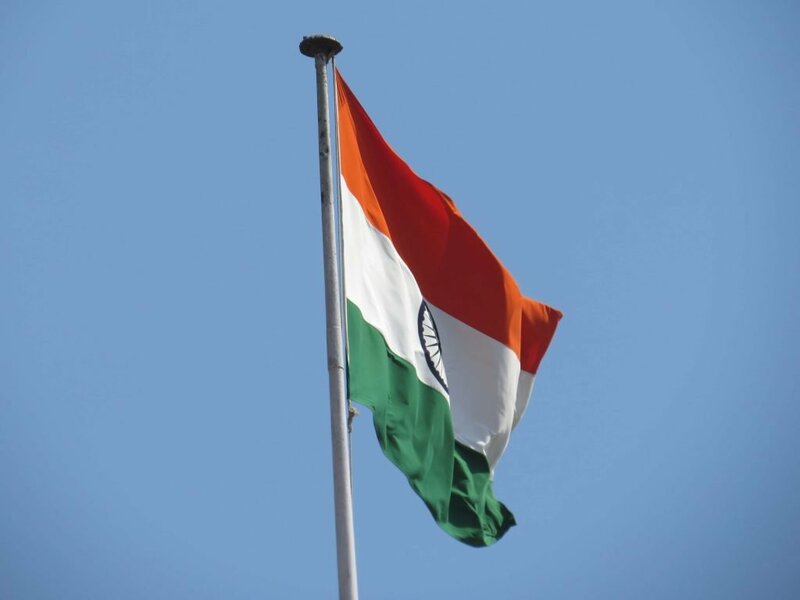 For inspiration on more things to see and do in Delhi, please click here.